Resourceful readers of this blog will have worked out what the above is all about… These five components interact to produce a precise definition of the moon. 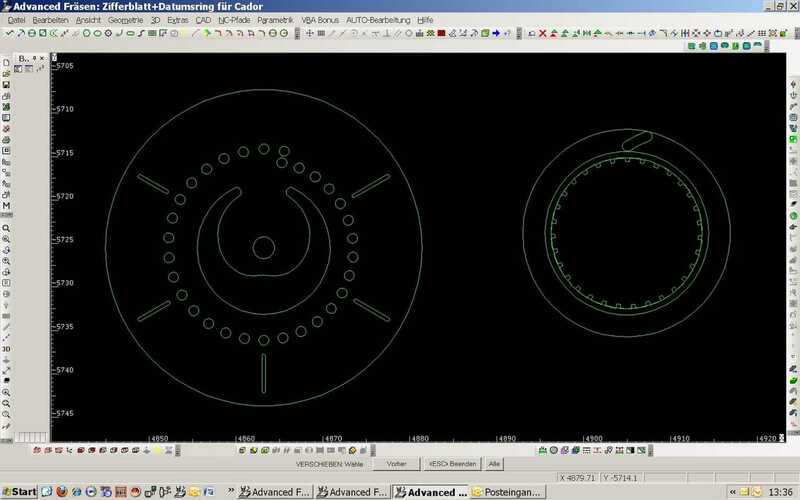 We have just sent off the two first two trial dials to Cador for colouring: dark blue with orange indices… This moon phase watch will have a deviation of no more than two seconds per lunation, i.e. it’s extremely accurate! We described just how accurate it is in an earlier blog describing the luna prototype no. 7. We’ll of course be coming back to it in detail! The sun also has something to do with it… What are we going to call this wristwatch? What name does Ludwig Oechslin have in mind in his series of calendar complications?